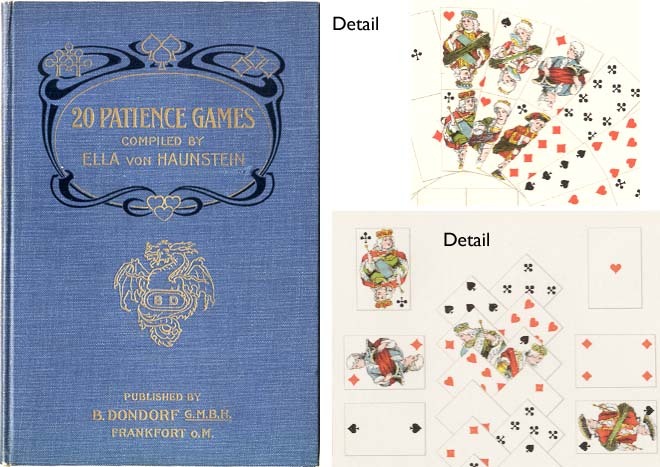 Dondorf first published these miniature Patience cards in c.1870, in which children are disguised as Kings, Queens and Jacks. 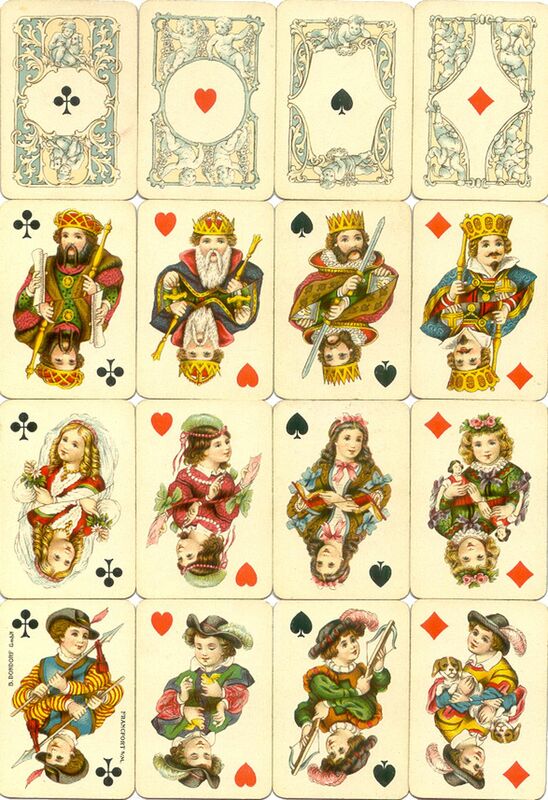 The Kings' crowns are slightly over-sized for their heads and the boys are wearing false beards and moustaches. 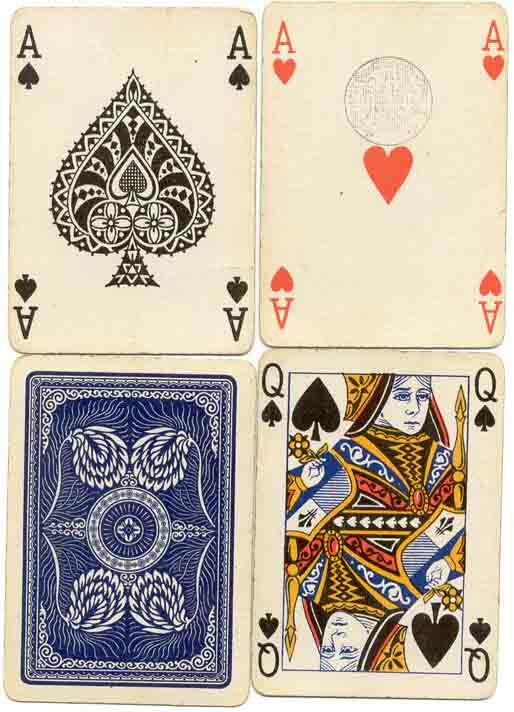 The children on the Queens and Jacks have large, clear eyes and round cheeks with dimples. Holding flowers, pets or dolls, they evoke a charming children's world. However, the cards were probably destined for an adult market too. 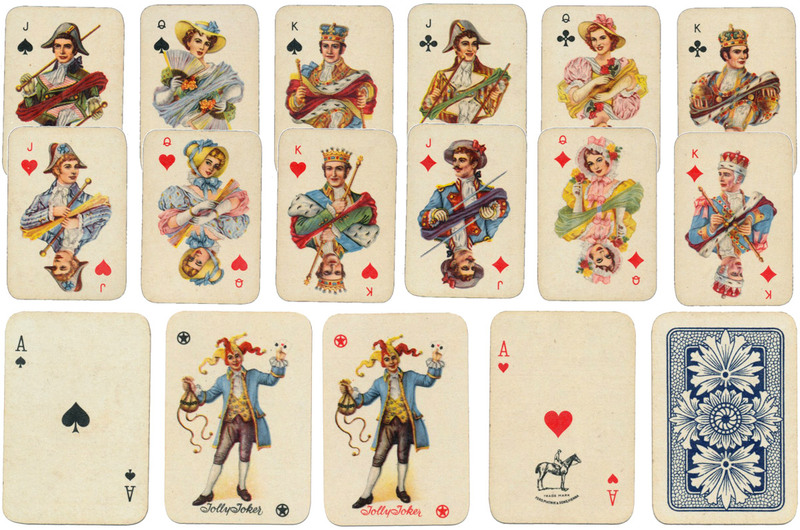 Above: Kinder-Karte (Patience No.25), manufactured by Dondorf GmBH after 1906. 52 cards; cards measure 55mm x 37mm. Images courtesy Barney Townshend.